It would be hard to imagine a more fairytale-like little town than Telč. A square which looks like it has come straight from the stories of Hans Christian Andersen, a romantic chateau and crystal clear fishponds surrounding the city. Telč is the perfect example of the Italian Renaissance north of the Alps and a town with one of the most beautiful squares in Europe. It is rightly thus also part of UNESCO world heritage. When visiting Telč, you must not forget to visit the chateau, which ranks among the Moravian gems of Renaissance architecture. You can admire there valuable carvings in the panels of the coffered ceiling. In terms of the tour, you can also take a peek into the rooms of the last inhabitants of the chateau, the library, bathrooms or dressing rooms with their collection of historical clothing and accessories. 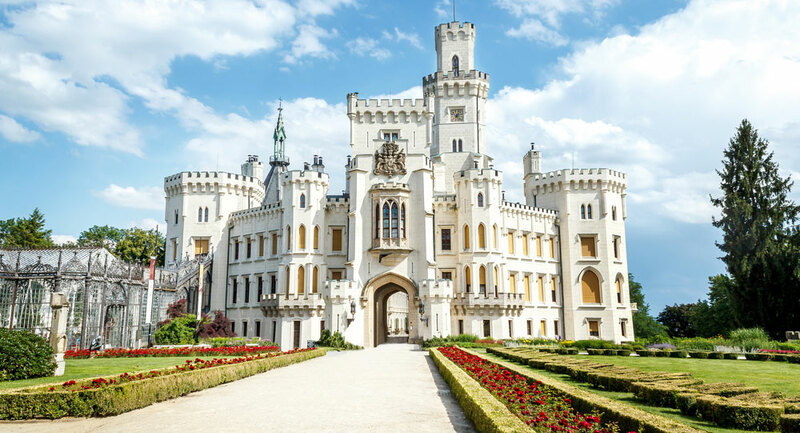 Hluboká Castle is the ideal destination in South Bohemia for history buffs, incorrigible romantics and even those who worship sport. 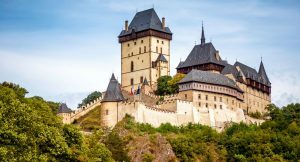 The castle owes its current appearance to the Schwarzenberg family and is often described as the most beautiful Czech castle. It was originally founded as a guardian castle in the middle of the 13th century by Bohemian kings. present appearance in the 19th century after a Neo-Gothic reconstruction. There is an option to visit the beautifully decorated interior and see examples of ith carved paneling, coffered ceilings, elegant furnishings, crystal chandeliers and rich collections of paintings, silver, porcelain, and tapestries You can also check out the lookout tower and the castle kitchen with lots of kitchen equipment preserved from the turn of the 19th and 20th centuries. When you arrive in Český Krumlov, you will be captivated at first glance by the monumental panorama of the chateau here, which rises above the picturesque Renaissance architecture of the adjacent little town. Taking a walk through the historical center will, thanks to its inimitable medieval character, leave you in no doubt as to why Český Krumlov is one of the gems included on the UNESCO list. Do you know where to find the Czech Republic’s oldest bridge? In the South Bohemian city of Písek! It is enough just to walk over its ancient cobblestones and you will be instantly transported back to the days when the city was ablaze with gold fever. Stroll through the historical center of Písek and experience a place that was once among the foremost cities in the kingdom. And remember to keep a careful lookout: Perhaps waiting for you somewhere is a little bit of gold-studded sand! The Třeboň Region is a magical place, and one of the most picturesque in the entire Czech Republic. 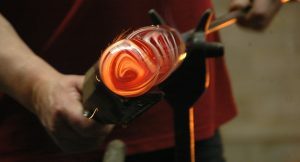 Here you’ll uncover lots of idyllic countrysides, which man has been painstakingly transforming since the 14th century. The result of these efforts is over 6,000 lakes, many small islands, mysterious wetlands, marshes and peat bogs, providing a habitat to countless rare species of flora and fauna. The entire region is packed with medieval fortresses and Renaissance towns, creating a special landscape, now one of UNESCO’s biosphere reserves. There is also a remarkable castle from the Rennaissance period. A walk along the nice pond is also an option. Not to miss is also to taste the famous Třeboň carp, the local specialty. You would be hard put to find another place offering so much charm in such a small space. Holašovice, situated in the middle of the harmonious landscape of Southern Bohemia, is surely the most charming village in the whole of the Czech Republic. The pride of this place is the wonderful Baroque farms set around the extensive village green, which even ensured inclusion of Holašovice in the UNESCO world heritage list. There is also a pleasant local restaurant where you can taste the specials of southern Bohemian cuisine. A unique sight not to miss while in Holašovice is the so-called Holašovice circle – Holašovice Stonehedge, a formation of the rocks with special energetic power that can cure depressions and helps with the spiritual growth. Elegant townhouses gathered around one of the largest squares in Europe, an idyllic salt store and a brewery cooking up the original Budvar beer (Czech Budweiser)– this is České Budějovice, the capital of South Bohemia. This city has preserved its historical character over the centuries but is also a modern regional center. So come and savor the city’s pleasant atmosphere with a tankard of our world famous beer. The appearance of the city was heavily influenced by the whims and caprices of the aristocratic families of the Lords of Hradec, the Slavatas, and the Černíns. 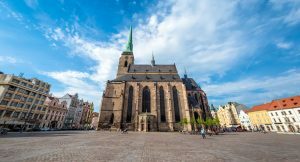 The Renaissance period left the most significant imprint on the city when Italian masters brought Mediterranean lightness and charm to the picturesque rolling landscape of South Bohemia. The elegant Renaissance chateau mirrored in the Vajgar Pond has been the symbol of Jindřichův Hradec for hundreds of years. Its fortunate location at the crossroads of busy trade routes helped to foster fast and favorable international commerce.